"Approved suggestion from source: http://www.winklevosscapital.com/"
"Import structured data from http://en.wikipedia.org/wiki/Winklevoss_Capital_Management"
"Import structured data from Wikidata.org: https://www.wikidata.org/wiki/Q17145979"
Winklevoss Capital Management is a New York based venture capitalventure capital company that provides fundings to promising startups and determined entrepreneurs. This family business was founded by Tyler Winklevoss and Cameron Winklevoss in 2012. GeminiGemini - next generation bitcoin exchange based in New York City. Gemini - next generation bitcoin exchange based in New York CityNew York City. 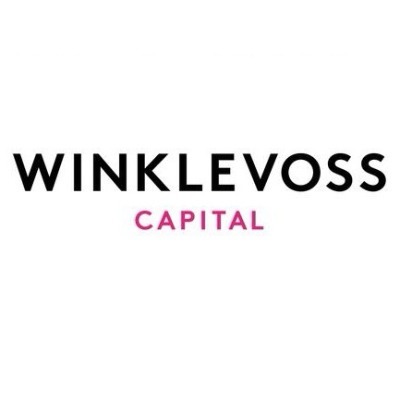 Winklevoss Capital Management is a New York based venture capital company that provides fundings to promising startups and determined entrepreneurs. This family business was founded by Tyler Winklevoss and Cameron WinklevossCameron Winklevoss in 2012. Winklevoss Capital Management is a New York based venture capital company that provides fundings to promising startups and determined entrepreneurs. This family business was founded by Tyler WinklevossTyler Winklevoss and Cameron Winklevoss in 2012. 21 - company that builds the hardware and software infrastructure to mainstream BitcoinBitcoin. Gemini - next generation bitcoin exchange based in New York City.